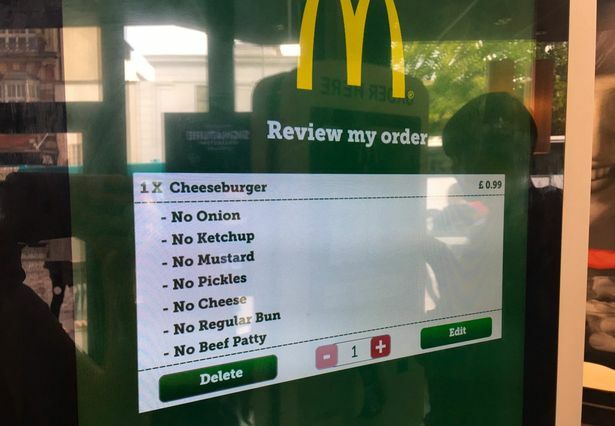 A little customisation never went astray, but one British teenager took it to the next level when ordering a humble cheeseburger from McDonald's this week. When using the self-service machine Twitter user @Arikuyo thought she'd test out its elimination threshold. And it turns out you can remove EVERYTHING from the burger one ingredient at a time until nothing is left. But a system glitch means your order will still go through to the tills - and you'll be charged 99p for your empty bag. 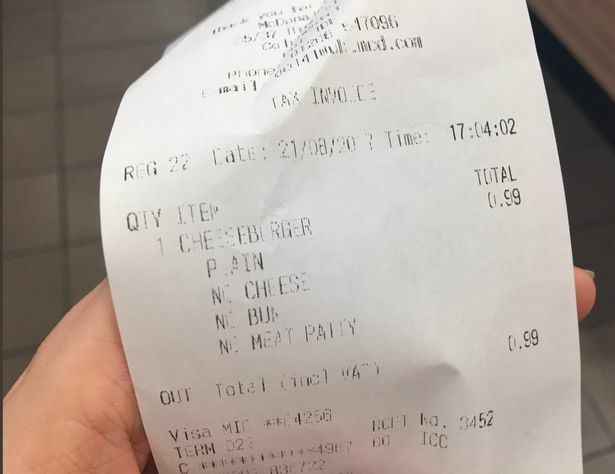 Seventeen-year-old customer Ari, from East Anglia, ditched onion, mustard, ketchup, pickles, the patty, the bun and the sweet, sweet cheeseburger cheese until not a grain of sesame remained. And after posting her snaps online - complete with the caption "I just spent 99p for nothing from McDonald's" - of course the internet has been losing it in response. And rightly so. 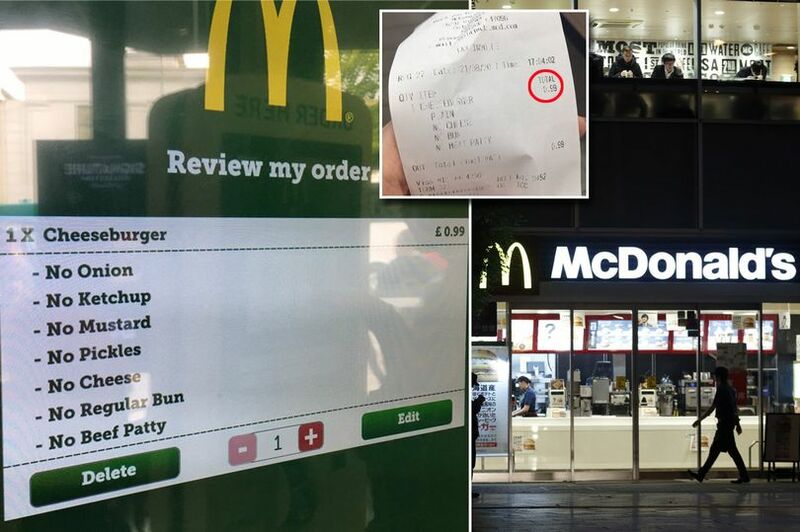 At the time of writing, her post had clocked up over 56,806 retweets and 132, 551 likes - including a comment from a user claiming to be a McDonald's employee confirming such an order WOULD indeed be sent to the kitchen.